Charlotte Morton, Chief Executive of the Anaerobic Digestion & Bioresources Association (who are organising the expo in partnership with the World Biogas Association) said: “Based on what we’ve seen with farm-based and food-waste AD plants, even when a digester appears to be steadily ticking along, some fine-tuning or retrofit of the mixing system can produce much better gas yields. “In addition to more gas, technologically advanced mixing systems that will be on display at the expo can drastically reduce maintenance and energy costs. “Improved monitoring can also bring about a positive difference to a digester – and with the possibility of mixing sewage sludge with food waste in the future, UK AD & World Biogas Expo 2018 is the perfect place to learn more about enhancing digester performance”. 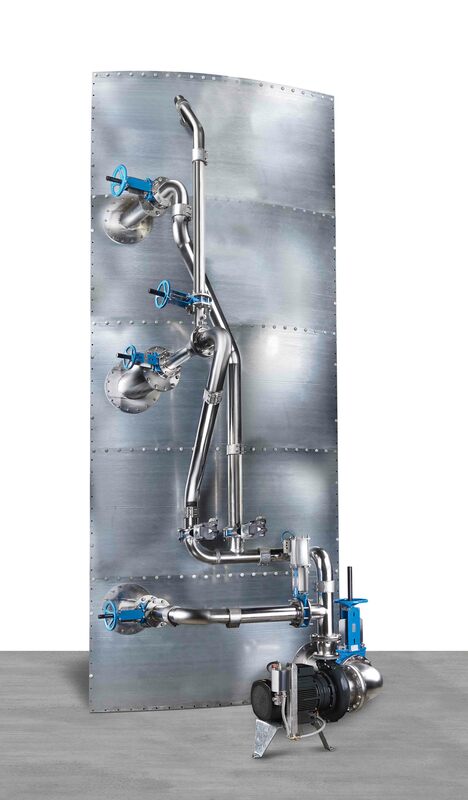 “Based on the increasing number of retrofits we carry out in the AD sector, there is clearly a demand to reach optimum levels of AD operation – especially as a mixer retrofit doesn’t have to mean draining down the tank”. He continued: “Numerous farm and food waste AD operators are already seeing the benefit of fine-tuning their equipment, so there is a real opportunity for the water industry to review its renewables/biosolids operation – which can pay back in a short time-frame. We are ever-presents at the expo, which is totally focused on biogas. It is the best place to catch up on all the latest industry news, seek out advice and talk directly to equipment suppliers”. Davies also states that many mixing systems may have 7.5kW motors, but that in most cases, these are running flat out, using 180 kW hours per day. For what he describes as ‘complete mixing of the whole digester’, Davies suggests AD operators consider 18.5 kW motors that only have to run for 10-15 minutes per hour, using just 110 kW hours per day. Featuring more than 200 exhibitors from all over the world – and 100-plus speakers, over 3,000 attendees are expected at UK AD & World Biogas Expo 2018, now in its ninth year.